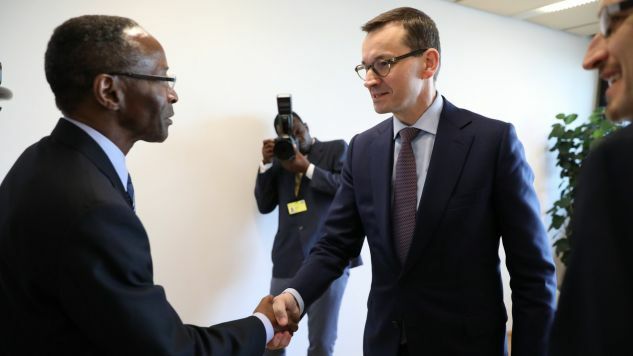 The Polish Prime Minister Mateusz Morawiecki took part in the Africa-Europe High-Level Forum, held in Vienna, the capital of Austria. The PM stressed at a press conference that this event is not an ordinary summit of leaders, but “a great opportunity to make new business, trade and investment relations.” “Contacts made today by the Polish entrepreneurs are very promising,” PM Morawiecki told journalists. “Africa is a large market, interesting for European companies, including Polish ones ... Poles have a talent for exploring new markets,” the PM said. “Let’s remember that today Africa counts 1.2 bln citizens, and in about dozen years it will be three times more than the number of citizens of the EU,” he added. He also stressed that Poland is one of the biggest supporters with regard to aid for Africa. “We want to create jobs there to decrease the pressure of migration from Africa to Europe,” the head of the Polish government added. The PM also met with the Vice-President of Angola, Bornito de Sousa. The main aim of this year’s edition of the event is to focus on current and future innovations, as well as digital cooperation between Europe and Africa. The Africa-Europe High-Level Forum is co-organised by Sebastian Kurz, the Chancellor of Austria, and Paul Kagame, the President of Rwanda, the country which holds the presidency of the African Union. The previous summit took place in November 2017 in Abidjan, Ivory Coast. The summit was attended by many European and African leaders, including the head of the European Parliament Antonio Tajani, the president of the European Commission Jean-Claude Juncker, as well as representatives of large global companies.